As the philanthropic arm of Professional Photographers of America (PPA), a worldwide, nonprofit professional photography association, PPA Charities allows PPA to become a force for positive change, making a difference in the lives of others (Mission Statement). Established as a charitable, non-profit, 501(c) (3) organization, PPA Charities allows imaging professionals to combine their individual efforts to make an even bigger impact on the lives of children and families everywhere. PPA Charities is governed by a Board of Trustees that is appointed annually by the PPA Board of Directors. In 1997, at the urging of then PPA President Bert Behnke, the Professional Photographers of America’s Board of Directors established PPA Charities as a non-profit, 501(c) (3) organization. This organization allows imaging professionals to combine their individual efforts to make an impact on the lives of children and families everywhere. An initial fund-raising drive resulted in contributions that were invested as a perpetual fund. These monies are used to fund PPA Charities’ annual operational budget and reserve fund, which continue to grow through contributions and annual activities. By the end of 1999, the foundation had raised over $110,000. A matching donation from Burrell Professional Labs of $40,000 brought the perpetual fund total to $150,000. In January of 2000, the first donation from PPA Charities was presented to the Elizabeth Glaser Pediatric AIDS Foundation in the amount of $10,000. The goal of PPA Charities is to create a perpetual fund that would cover operating expenses to allow all fundraising collections to go to their selected charities. This would allow the Charity to make substantial contributions to worthy children’s charities each year. The PPA Charities Board of Trustees is charged with identifying worthy charities that PPA members can help through fundraising and/or volunteering. In 2005, PPA Charities Trustees invited Operation Smile to become its Charitable Partner, which continues through today. As such, Operation Smile, a highly respected worldwide organization, became the recipient of all contributions (made on behalf PPA-member studios throughout the country) during PPA Charities’ annual Family Portrait Month charitable marketing promotion. In January 2005 during our kick-off event at Emeril’s New Orleans, PPA Charities presented a check to Operation Smile in the amount of $10,000. In 2010, PPA Charities made its largest yearly donation of $100,000. 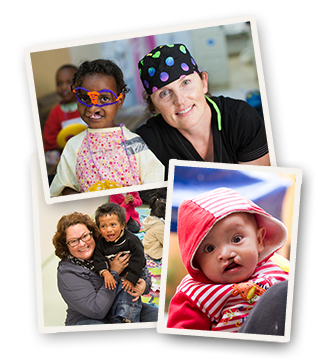 To date PPA Charities has donated almost $600,000 to Operation Smile, resulting in about 2500 surgeries that PPA members have been directly responsible for, no small accomplishment. In 2013, PPA Charities established a strategic plan that continues its involvement with Operation Smile and begins to look into diversifying its charitable reach with additional charitable partners and expanded fundraising opportunities. PPA Charities is proud to be a charitable partner of Operation Smile. A perfect fit for photographers, whose daily business is creating smiles for their clients, these charities strive to help children and families around the world.